We meet at home in SE Portland near I-205 and SE Division. Max Green Line Division station, or Division #4 bus or 82nd Avenue #75 bus. 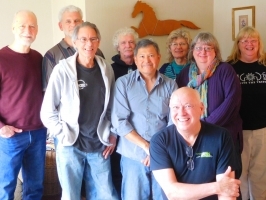 We're a friendly, informal group for all levels of readers. Lots of discussion and fun times.